Defined, thick, full brows have been a trend on Instagram for years now. “Instabrow” remains a thing and it’s basically super shaped, super thick, and super defined brows. If you like bold, ‘scaped, and statement brows, which frame your entire face, Urban Decay has launched several products in a several shades to aid you in attaining brow nirvana. The Double Down Brow Putty features two brow powders and an accompanying applicator so you can shape and sculpt with precision. It’s like instant microblading but much less permanent — obviously. The Brow Endowed tube is dual-ended. It holds a neutral primer and a petite spoolie brush on one end, which volumizes. The primer is designed for shaping and gives the pigmented product on the other end of the tube, which can be used for filling in sparse areas, a base on which to adhere. 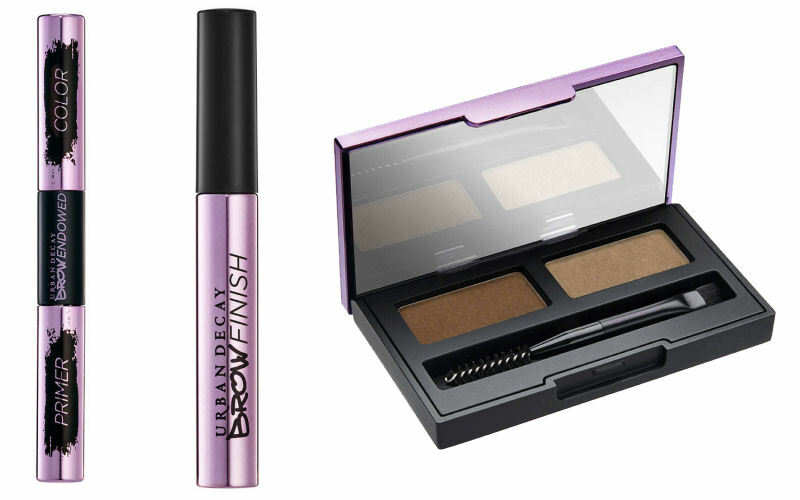 The Brow Finish is the period on the end of the sentence that is your brow routine. It’s a waterproof gel that’s perfect for shaping and keeping any enhancing product from migrating or becoming messy.